Now that the teaching section of the Sermon on the Mount has finished, Matthew 7:13-29 will exhort listeners to enter the kingdom of heaven. Picture your pastor giving an altar call at your church. Jesus is finishing His sermon with an exciting call to action. The listener is either in or out of the kingdom of heaven and Jesus will make this call clear. The concluding section of the Sermon on the Mount can be broken down into three contrasting metaphors: the narrow and wide gates in Matthew 7:13-14, two trees and fruit in Matthew 7:15-23, and two foundations in Matthew 7:24-27. Matthew 7:28-29 will give us some following action indicating the impact of the Sermon on its listeners. Let us know take a look at each section. Matthew 7:13-14 contrasts two gates; the narrow gate that leads to life along the small path that few find, and the wide gate that leads to destruction along a broad path that many go through. Jesus begins this metaphor with the imperative, “Enter the narrow gate!” I am an avid trail runner in the mountains near my house and ever time I read this passage I am reminded of the small trails I usually run alone or with one or two good friends. Often from the mountains I can see the large city streets and even the highways with many cars all hurriedly headed to their destination. I believe Jesus is showing us that the way of the kingdom of God is more like the mountain trail than the highway. Often we get caught up in the trends and tricks of our culture but God is calling us to be different. He wants us to be set apart in allegiance to Him and holiness in a pattern after Him. You never feel more set apart from the world when you are running alone up a small trail in the mountains looking down upon the city you live in. The shocking idea in this passage, other than the contrasting gates and paths, is the fact that Jesus has told us few will find the way to the kingdom! This should give us reason to pause when we look more like the world than we should, or when it seems everyone is headed the same direction as us. Are you walking on the narrow path having entered the small gate on your way to the kingdom of heaven or are you going the way of the world with everybody else headed towards destruction? Enter the narrow gate! Matthew 7:15-20 will initially give us a contrast between two trees and fruit, primarily talking about false prophets, then in Matthew 7:21-23 the contrast will be expanded a little more to point a finger in the crowds face. Jesus again begins this metaphor with a similar imperative to the first section, “Beware of false prophets!” Jesus states that false prophets come in sheep’s clothing but inwardly are ravenous wolves. Who are these false prophets? In Christ’s day it could include Pharisees, Messianic pretenders, or even literal false prophets. As we will see, the false prophets then and now could include anyone who comes in the name of Lord claiming to speak His words or do His deeds and yet not know Him. Jesus tells us that we will know false prophets by their fruit. In Matthew 7:16 Jesus says, “Grapes are not gathered from thistles are they?” the answer being no! Matthew 7:17 gives us the primary teaching of this section showing that good trees bear good fruit and bad trees bear bad fruit. In the end the bad trees will be cut down and destroyed. For us this means we need to know God’s Word enough to be able to distinguish what is good and bad fruit! If we don’t know what God calls us to how can we evaluate the fruit of other believers and those that claim to speak God’s Word and do His deeds! Fruit in the life of the prophet and the believer becomes a very important marker of their inclusion in the kingdom of heaven or not. What does your fruit say about you? Could you pick out a rotten apple if it was before you? In Matthew 7:21-23 Jesus will expand on the idea of false prophets and points the finger at the listener questioning, “Are you a false believer?” This question is made primary by the Lord’s statement in Matthew 7:21, everyone who calls on the name of the Lord will not enter the kingdom of heaven, instead it is those that do the will of the Father that will enter. This is a sobering thought when you look around the average church at the many people claiming to know the Lord. The finger pointing gets even more serious as Jesus turns up the heat saying many have even prophesied in His name, cast out demons, and performed many miracles. How can these not be a part of His kingdom? Again it is only those that do the will of the Father that will enter the kingdom of heaven. John 6:40 gives a concise statement on what the will of the Father is, that we would behold the Son and believe in Him. This reminds us of the need for surpassing righteousness that Jesus has been preaching about for the entire Sermon. Finally Jesus quotes Psalm 6:8 in Matthew 7:23 as the pronouncement that will be made over those that Follow Jesus in name and whose hearts are far from Him not depending on Christ for their surpassing righteousness. As a side note we should think about the idea of practicing lawlessness in Matthew 7:23. Lawlessness in the Bible is a large theme that is often used as a descriptor of different rebellious persons and situations including the antichrist and Satan. 1 Thessalonians 2:1-17 gives us a good picture of what lawlessness entails: an exaltation of self, activity in accord with Satan, belief in falsehood, and taking pleasure in wickedness. The idea of lawlessness is an apt descriptor of those that would be false prophets, thought Matthew 7:21-23 has pointed the finger at us and asked, “Are you the lawless one? Are you the false prophet?” Since the fall we as humans have been in rebellion against God’s rule. Let us be those that quickly repent of our lawless ways and do the will of the Father. 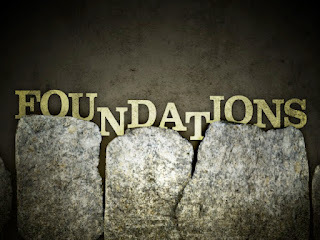 In Matthew 7:24-27 Jesus concludes His sermon by talking about two foundations. Wise men hear Jesus’ words and act on them. Wise men build their house on a foundation of rock. In contrast, foolish men hear Jesus’ words and do not act on them. Foolish men build their house on a foundation of sand. When storms come the wise man’s house will stand strong on the foundation of the rock while the foolish man’s house will fall. 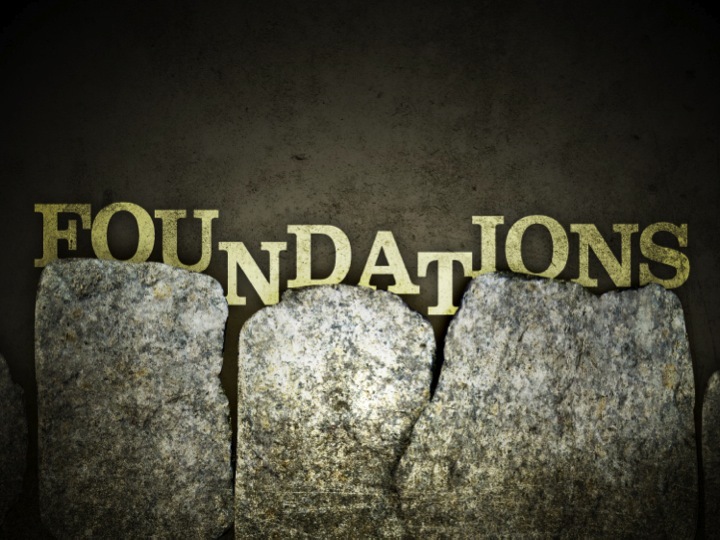 What type of foundation are you building your life on? The Sermon Mount has shown us our need for surpassing righteousness, revealed what surpassing righteousness looks like in this life, and has urged us to build our life on the foundation of Christ. Finally, Matthew 7:28-29 describes the amazement of the crowd. Truly Jesus was teaching with God-given authority. The question for us is, “What will we do?” Enter the kingdom of God by belief in Christ and thereby find our surpassing righteousness in Him or continue in our own way apart from the kingdom of God building our house on our own righteousness, which ultimately amounts to nothing. Whether you need to enter the kingdom of heaven for the first time by confessing Christ or as a believer you need to make a course correction through repentance, the most important piece of Jesus’ conclusion is hearing His words and acting on them. What will you do?